Gave the site a total overhaul. Added to the Pictures area, the Links area and the Downloads area. Created a Legal area and a Thanks area. Touched up and updated Rules. Touched up and updated the Moves that were already here. Took the Chat Room off of the main page, because its not used enough. Changed the all caps to normal capitalization in the Punch section of the Moves section (other sections will follow). I was lazy when I first made all these, and didn’t realize how ugly it was. 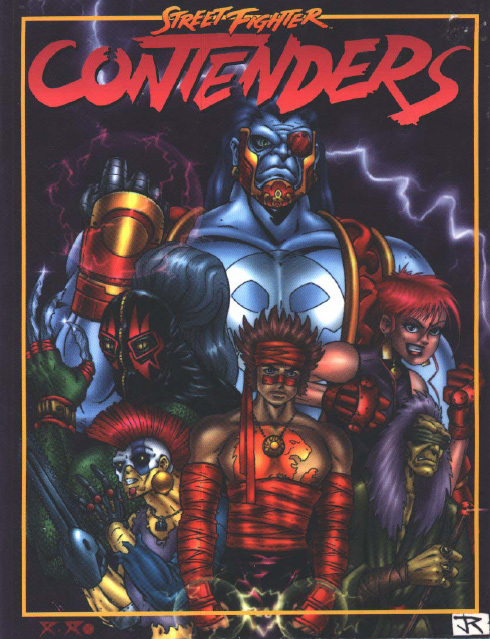 This sourcebook was announced, but never released. Who knows how much work was done on it? Includes an adventure called “Spirits of the Forest” by Andrew J. Lucas. The adventure is designed for a single team of fighters ranked 3-5, although it can easily be modified to accomodate two teams or a single fighter. Spirits of the Forest is written for any number of players, four to six being optimum. 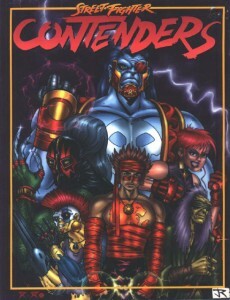 During the course of the adventure the players’ team will be required to fight two team bouts and possibly one feature fight with one opponent from an opposing team. The adventure itself is designed to provide a little plot development, it’s the sandwich meat between the bread of tournament bouts. These are people that make up Street Fighting: Warriors and assistants, allies and opponents, naive rookies and wise masters. You never know who’s going to step in the ring with you – or what’l; be waiting for you when you leave. Explore the many facets of the Street Fighter’s world, from how they fight to where they relax. Learn why conflict follows Street Fighters everywhere and how they deal with it. Street Fighting was never easy – now it just got more difficult, and more dangerous. 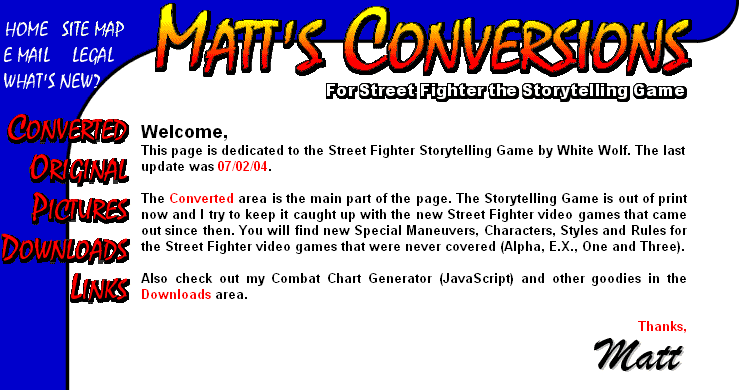 Comlpete stats and background information for 50 characters to support or oppose your Street Fighter characters. New martial arts styles from across the world, new Special Maneuvers, and rules for duelists and weapons. 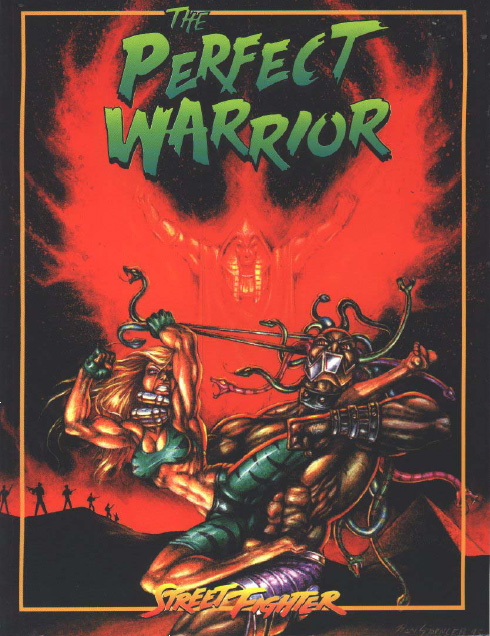 New settings for Street Fighters to seek honor and glory – or just try to stay alive! A madman grows in power, seeking to restore the glory that was Egypt. Nothing, not even M. Bison, will stand in his way once he learns the secrets of Majestic Crow Kung Fu. But master Xaudo, the style’s last living master, is an unwilling Sifu. In a harrowing chase across Europe and North Africa, the Street Fighters race to protect Master Xaudo from the Phoenix’s clutches, learning that friends may become enemies, enemies may become friends and fear can be one’s greatest foe. Storyteller hints, new combat rules and more! Running the circuit has never been this difficult. See the side of street fighting that few talk about: the undiscovered wilds, the horrid results of men fused with technology and the keys to unlocking dark sorcerous power. Be prepared the next time you step into the ring – There’s no telling what you’ll face! The Street Fighter Players Guide will explore new facets of street fighting. Discover the truth about Blanka’s nature, learn how to create cybernetically enhanced warriors, train in new styles and explore new backgrounds. Plus the book also has new information on tournaments, arenas, managers and sensais. 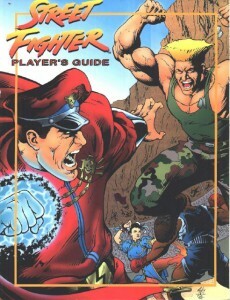 The Street Fighter Players Guide will take your characters to the limit… and beyond. New Special maneuvers, many never seen before. Detailed source material on Animal Hybrids, Cybernetics, plus two new styles. New Street Fighter teams which you can play yourself or fight in the ring.